Like a Monet painting... the French landscapes you’ll explore from aboard your riverboat will impress with colour and charms that change with the light and the lay of the land... in Normandy, seaside villages pose in picturesque images... farms flirt with fresh fruit, savoury cheese and apples, pressed to perfection in brandies and ciders that please the palate... beaches memorialize the sands of time... riverside châteaux and monumental ruins speak volumes about days past... The gardens at Giverny bloom with Impressionist inspirations... and Paris romances with art and architecture immortally loved. A transfer is included upon arrival from Paris Charles de Gaulle Airport, Gare de Lyon Station, Charles de Gaulle Station and Gare du Nord to Hotel Pullman Paris Tour Eiffel, ideally located steps from the Eiffel Tower. Dine this evening against the backdrop of the famed Eiffel Tower, illuminated at night, as we welcome you to your rendezvous in Paris with cocktails and dinner. Bienvenue en France! From your first morning glimpse of iconic city sites outside of your hotel balcony to today’s guided excursion to one of the city’s most magnificent museums, your first full day in Paris promises to delight with an up-close look at the art and architecture that rightfully gives it a reputation as a city of arts par excellence. Join us for an orientation tour of landmark sites, followed by your choice of a Paris museum visit. The remainder of the day is free for you to experience Paris as you wish. Your Tauck Director can offer suggestions for sightseeing, people watching, art viewing, garden strolling and, of course, wining and dining. Whether you are looking forward to sampling a heavenly macaron or two in a pâtisserie, tea, chocolates and croissants in a salon de thé, a picnic lunch of warm-from-the-oven baguettes and creamy fromage in any number of garden-graced parks or wish to indulge in fine wine and an elegant gourmet dinner at a landmark brasserie, Paris caters to every taste and interest. 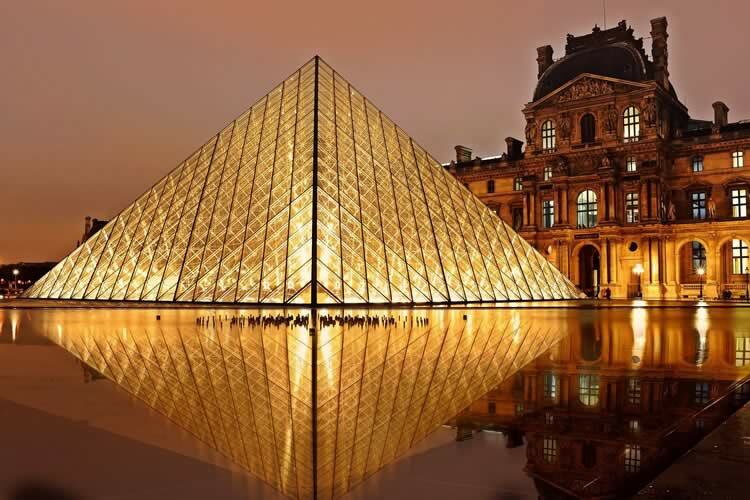 This evening, join us for a Tauck Exclusive – a private evening visit to Musée du Louvre! Tauck guests skip the lines – and the general public – on a private after-hours evening visit to the incomparable Musée du Louvre, a showcase of Impressionist paintings. The Louvre, housed in a former royal palace, astounds with an incomparable collection of old masters, sculptures and antiquities, including the beguiling Mona Lisa and the wingless Venus de Milo. This special evening is certain to be a highlight of your week in France! Venture outside of the city to the Château de Versailles, unequaled in its glittering display of regal splendor and privilege as you will see during your visit here. Prepare to be dazzled when your guide takes you inside the palatial estate to see opulently decorated rooms in the King’s Apartments, including the superb Hall of Mirrors where the Treaty of Versailles was signed on June 28, 1919, ending the First World War, and outside to stroll its park-like gardens. The gardens are a fitting counterpart to the palace in design and exterior décor, a showcase of magnificent bronze statues, patterned flower beds, lakes, fountains and architectural gems, from a marble colonnade to its two smaller palaces. Lunch follows at Ore, the first restaurant to be located inside the Château, indulging your appetite with the culinary mastery of celebrity chef Alain Ducasse, awarded multiple Michelin stars during his illustrious career. 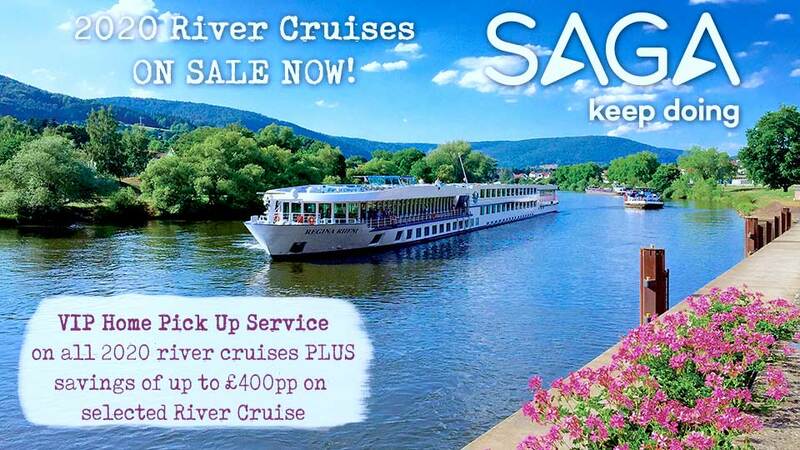 Everyone meets up this afternoon back in Paris to embark ms Sapphire for your 7-night cruise on the River Seine. Settle into your cabin and make yourself at home on your riverboat, designed to cater to your cruising comfort with spacious accommodations and premier amenities. Enjoy welcome festivities this evening as your riverboat charts a course for Rouen, home to Impressionist scenes and Joan of Arc memorial sites. 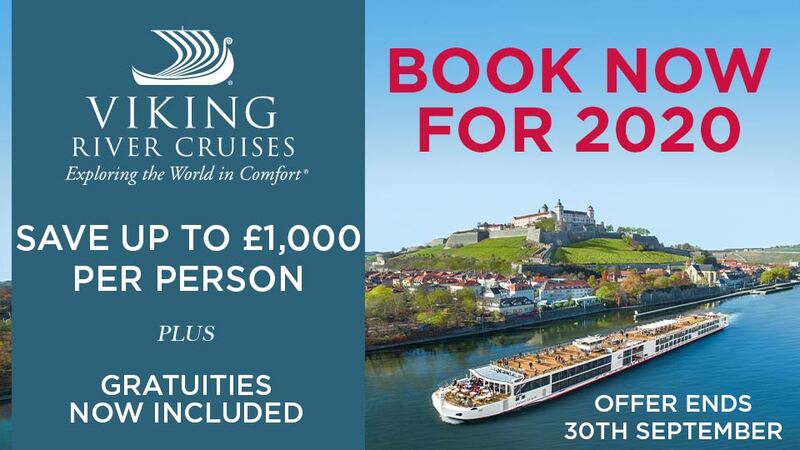 Enjoy informative insights about the history and sights you’ll see today as we spend the morning cruising to Rouen. Victor Hugo called Rouen “the city of a hundred spires,” and while the ravages of war destroyed many of the steepled buildings he was referring to, those that still stand today are rich with historical associations. A guided city tour this afternoon shows you the Gothic Cathédrale Notre-Dame, immortalized in close to 30 paintings by Impressionist artist Claude Monet, and the Place du Vieux Marche, site of Joan of Arc’s untimely death when she was burnt at the stake. Normandy is lush with fertile landscapes that make its agricultural endeavors flourish and prosper. World-renowned Camembert cheese is produced here along with meat, poultry and fruit products – local specialties that offer an authentic taste of the region. This evening you’ll have the opportunity to experience life in Normandy when we enjoy a private reception, dinner and music at a picturesque château. Your riverboat departs for Le Havre late tonight. From Le Havre on the English Channel coast, choose your first sightseeing activity; a visit to Caen and the Caen Memorial, or a guided visit to Étretat – a quintessential village steeped in history, cultural treasures and seaside pleasures where agriculture and dairy products are mainstays and farms dot the countryside. Explore the beach resort town on a guided tour; sheer cliffs cut in a perfect arch protrude into the sea. Following your morning visits it's on to Honfleur for an orientation tour with time at leisure for lunch. The first Impressionist artists, including Claude Monet, Charles-François Daubigny and Jean-Baptiste-Camille Corot, developed their painting style in Honfleur, one of the most charming fishing ports in all of Normandy. See a parade of Renaissance architecture and half-timbered houses along its cobbled streets as you discover for yourself why this colourful town was so beloved by artists. Back aboard ship, an interesting lecture about D-Day, one of the most somber dates in history, shares insights on the immortalized sites you will see tomorrow. For more than 70 years, the D-Day beaches along the Côte de Nacre have stood as poignant reminders of the historic Allied operation of June 6, 1944, when a massive armada of troops, with more than 5,000 ships and 13,000 aircraft, converged on the heavily fortified coastline to fight Nazi Germany. The wartime code names for the beaches along this 50-mile stretch still exist – Utah, Omaha, Gold, Juno, Sword – paying proud tribute to the heroism of the thousands of soldiers who lost their lives here. Our expert local guide shares insights during stops at Omaha Beach, bordered at each end by large rocky cliffs, and the American Cemetery, located on a bluff overlooking Omaha Beach, eternal resting place for some 9,300 American World War II soldiers. Visit Arromanches, situated along Gold Beach, after lunch at the Omaha Beach Club, then return to the riverboat to continue your cruise. Enjoy evening cocktails before dining onboard as you wish. After a morning at leisure and lunch aboard the riverboat, drive along country roads past churches and châteaux in various states of repair to visit Jumièges Abbey, once one of the great Benedictine abbeys of France. First built in 654, this wealthy limestone abbey grew to house 700 monks and 1,500 lay brothers in its first 50 years. Destruction came in waves when it was attacked by Viking raiders between 841 and 940, rebuilt in the 11th century, then razed again in a succession of French wars. Today it reigns unrivaled in a parklike setting that evokes memories of its former grandeur, giving measure to what Victor Hugo called “the most beautiful ruin in France.” Return to ms Sapphire for dinner onboard this evening. Château Gaillard is the crowning centerpiece of Les Andelys. Built in 1197 by the King of England, given the moniker Richard the Lionheart for his bravery on the battlefields, during a power play with Phillip II, the then reigning King of France, Château Gaillard, meaning well-fortified in French, was lauded as the strongest castle of its time. Unlike other castles of the period which took a decade or more to build, Château Gaillard was completed in just two years by some 6,000 laborers under the watchful, and often impatient, eyes of its king. What remains today evokes images of how this medieval castle looked and operated at its height of power, with the riverside views affording you the same vantage point coveted by its royal inhabitants. Pommes, apples in English, play an important part in the history of Normandy, with apple orchards taking root in Roman times. While the first cider was said to have been distilled in 1553, before that the Norman apple was used in poultices, ointments and cosmetics (hence the term “pommade”). With over two thousand varieties of apples, Normandy is naturally proud of its cider and of its Calvados – apple brandy, for which this region is also famous. Visit a local farm for a taste of both en route back to your riverboat. Have lunch onboard while we cruise to Vernon for a late afternoon arrival. In springtime, it's awash in pink and green, adorned in wisteria, azalea and water lilies, and basked in dappled sunlight that is reminiscent of the works of its famous 43-year resident, painter Claude Monet. Giverny invites discovery today on a visit that shows you the artist’s home as he lived it and painted it. His pink stucco house gives the impression that his family of 10 still lives there; its rooms showcase his private furnishings and his collection of Japanese prints adorn walls throughout. Outside, you’ll find easels displaying works-in progress in his garden studios, including replicas of the immense water lily paintings that hang in Paris at the Musée l’Orangerie, and the gardens that inspired them. You will have time to walk pathways bordered with nasturtiums, hollyhocks, hybrid lilies or snapdragons, depending on the season’s blooms, and go through the tunnel that leads to the Water Garden and the oft-painted Japanese Bridge. You may want to pose for a photo or a quick sketch during your visit, perhaps painting your own impressionist work from it when you return home. Meet your riverboat in Conflans-Saint-Honorine after lunch in a local restaurant, and head back along the Seine, bound for Paris. Your last night aboard ship will be a festive affair as you are invited to celebrate with us during the Captain’s Farewell reception and dinner. Fly home anytime; a transfer from your riverboat to Paris Charles de Gaulle Airport, Gare de Lyon Station, Charles de Gaulle Station and Gare du Nord. Allow a minimum of 3 hours for flight check-in. For additional hotel nights in Paris, ask at booking. All private Tauck shore excursions – £960 Value!